With cars getting more and more powerful, it isn't hard to find humble hatchbacks that can do the century sprint in less than five seconds. In fact, a quite a handful of cars can even do it in under three seconds. However those numbers are nothing compared to this water-powered, rocket trike. 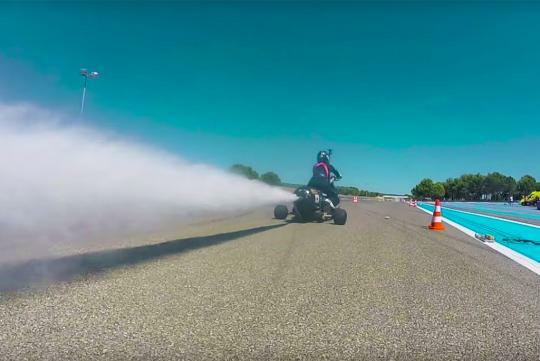 Built by Francois Gissy, this three-wheeled bike managed to hit 60 mph from a standstill in just 0.55 seconds and sprinted down the eighth mile(200metres) in 3.95 seconds. According to carscoops, the acceleration of the trike is greater than what astronauts encounter at launch, 5.13g to be exact.